ROME – Within a few weeks Italian taxpayers will be paying less tax, as the government reveals a number of new tax cuts. 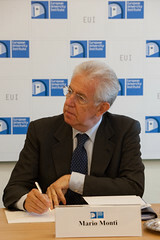 Following a meeting of the Cabinet of Italy which concluded in the early hours shortly after midnight on October 10th, the Prime Minister of Italy Mario Monti revealed that the government will reduce the rate of tax on annual incomes of up to EUR 15 000 by 1 percent to a rate of 22 percent, and also cut the tax on annual incomes between EUR 15 000 and EUR 28 000 by 1 percent to 26 percent, and will reduce the size of its planned hike to VAT. Previously the government had indicated that the rise to VAT would be 2 percent, but the Prime Minister explained that the increase would only be 1 percent as the government was hesitant to place further tax burdens on taxpayers, as Italy is already facing the full extent of austerity measures. The cuts to income tax are expected to be implemented next month, and will cost the government approximately EUR 5 billion in foregone tax revenues.